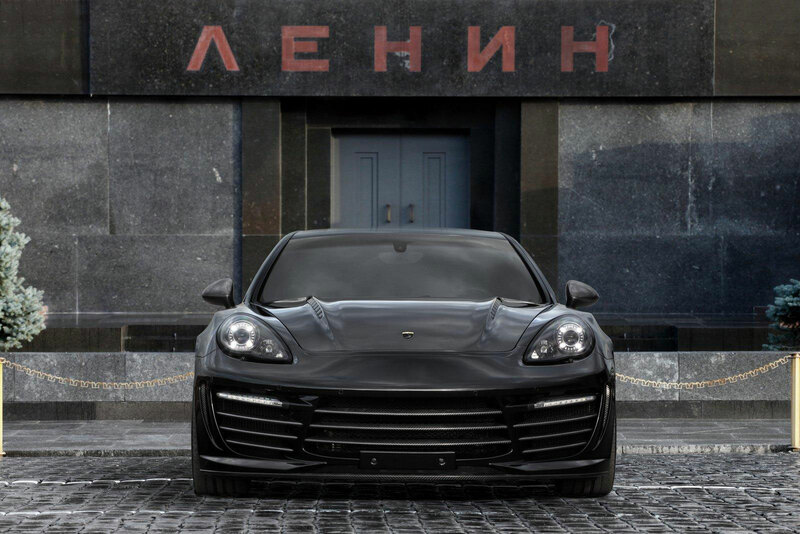 If the Porsche Panamera Turbo S is a little plebeian for your tastes, or you don’t like red leather interior of Panamera 4S Middle East Edition, you might want to give TopCar a call because they have just unveiled this bespoke Panamera Stingray GTR Crocodile model. 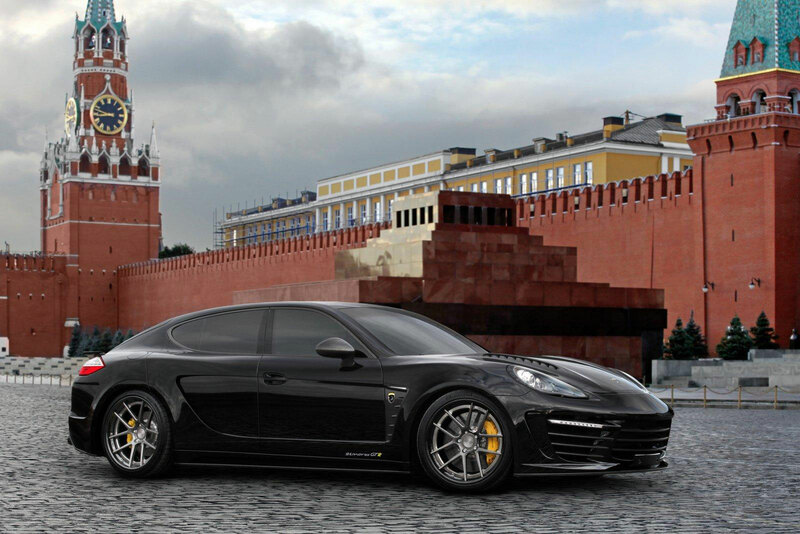 TopCar, the tuning company from Moscow, has taken a Porsche Panamera Turbo S and created a limited-run luxury sedan. 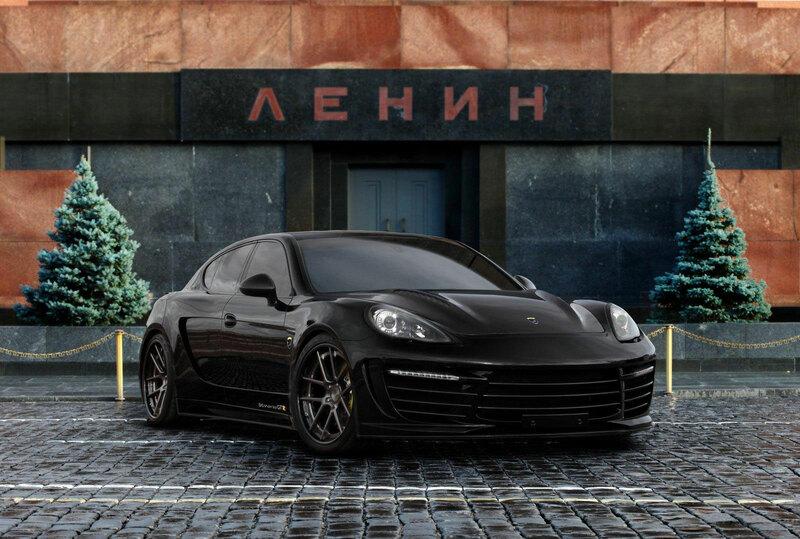 Moscow-based tuning company TopCar has decided to give a luxurious interior treatment for its latest Porsche Panamera Stingray GTR program. 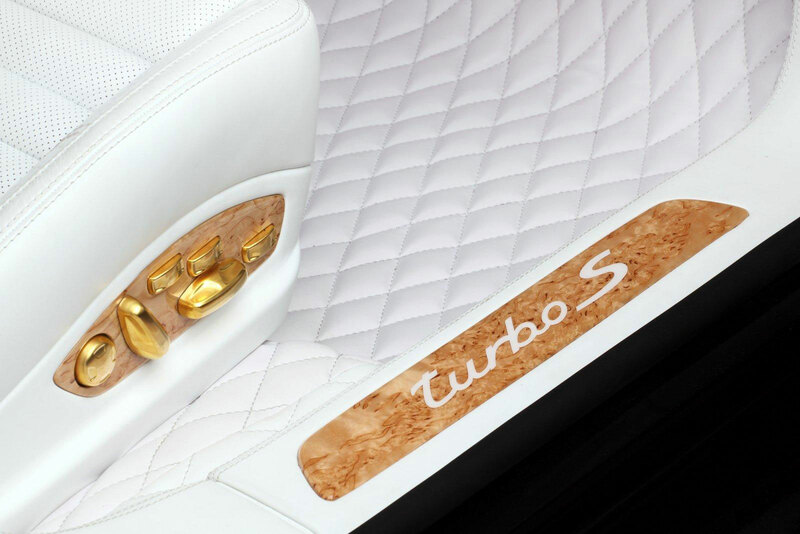 The TopCar’s bespoke model comes with Stingray GTR bodykit which consists of new front and rear bumpers, a bulging hood, front and rear fender extenders, side skirts and modified front and rear doors. 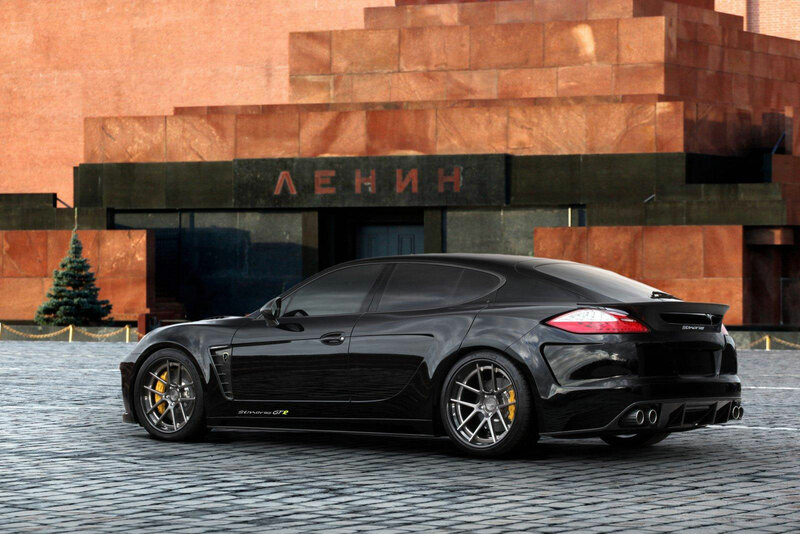 The package also features ADV.1 Ultra-light forged rims. 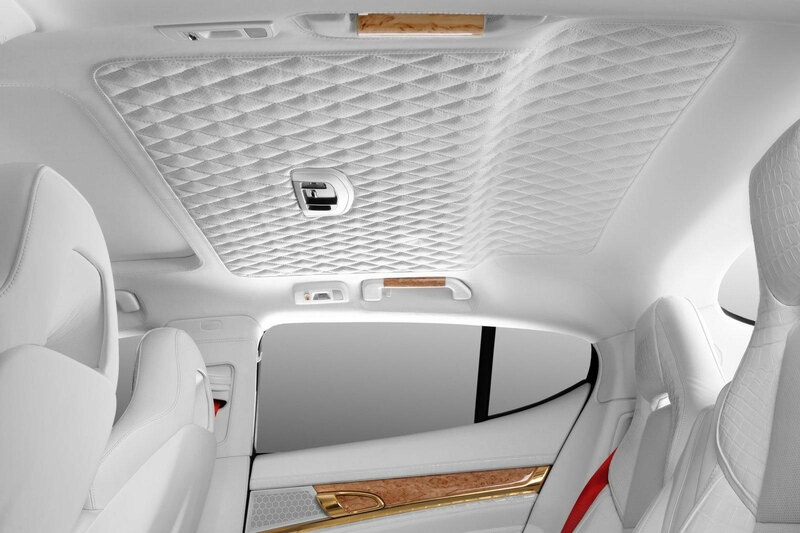 The most impressive part of the design is to be seen inside though. 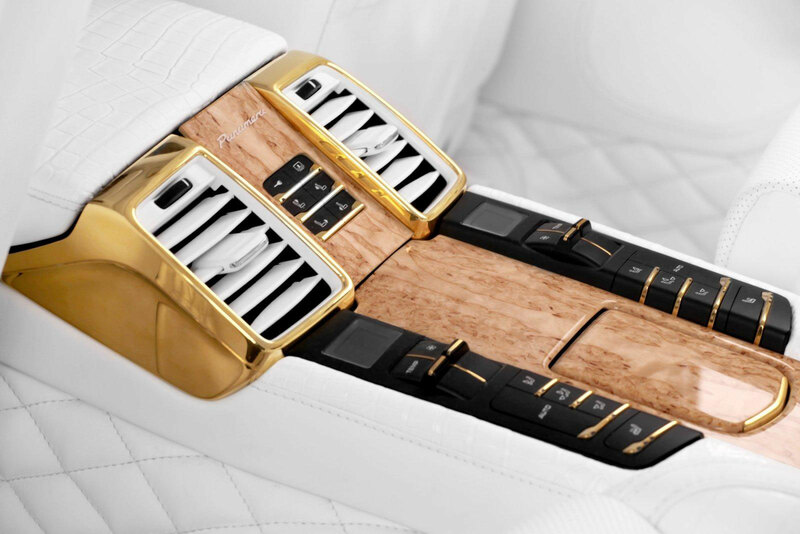 To start things off, the cabin is outfitted with premium leather seats and authentic crocodile leather on the dashboard, center console and armrest. 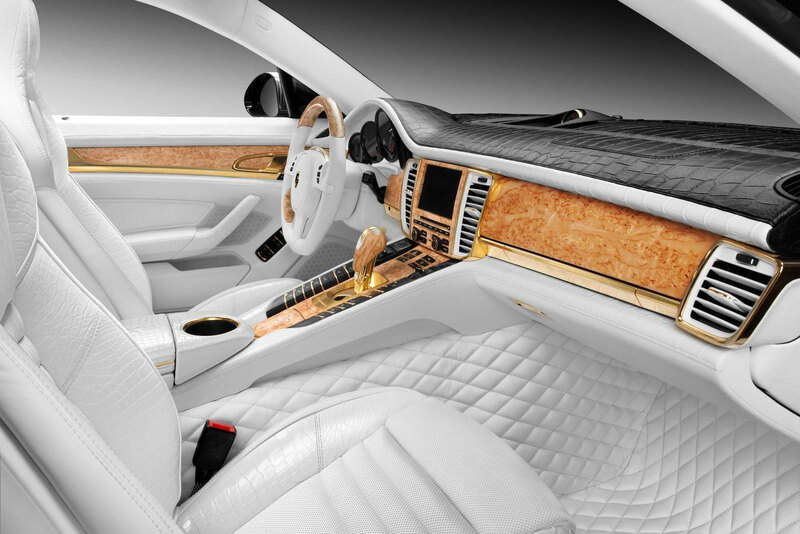 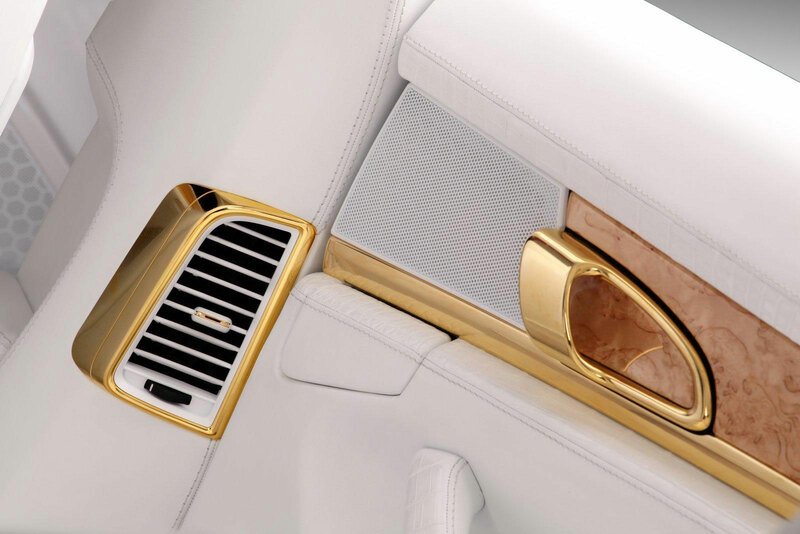 Elsewhere, there’s beautiful Karelian birch wood trim and gold accents which are applied on everything from the pedals to the window switches. 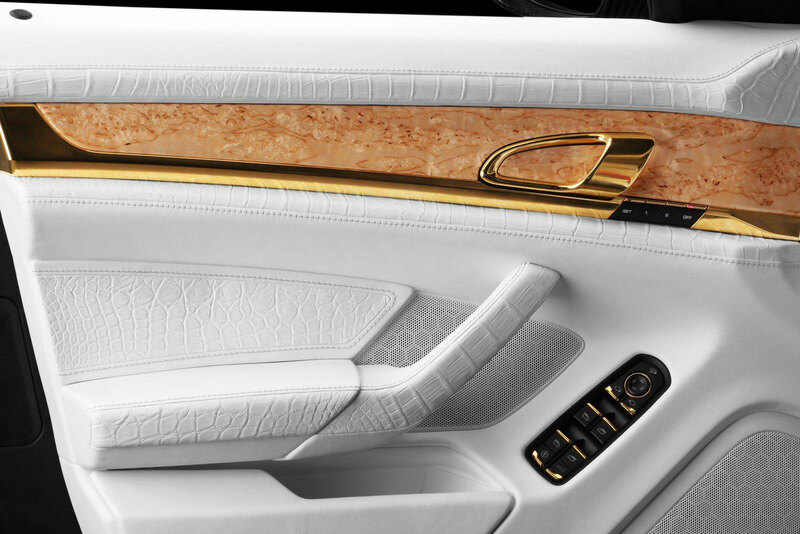 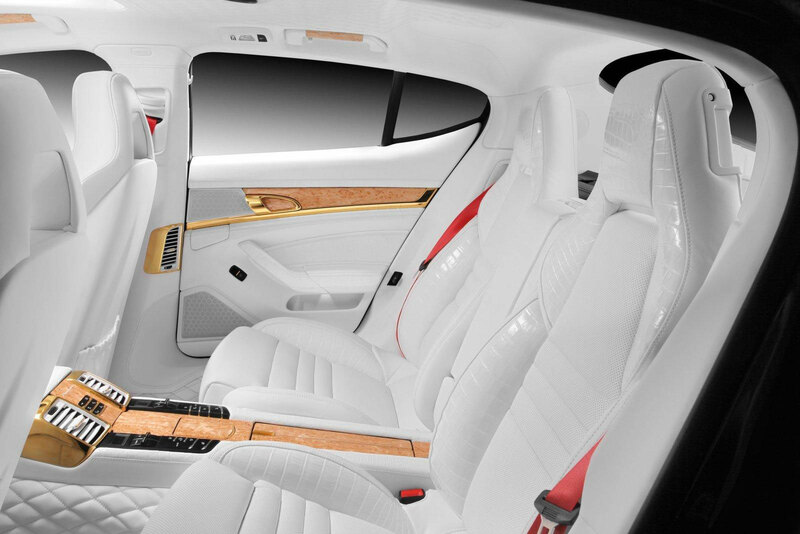 At the back, the sun-roof panel, AC vents, side door handles have used the same patterned birch wood, and outlining with gold, which one might notice in the AC control buttons as well. 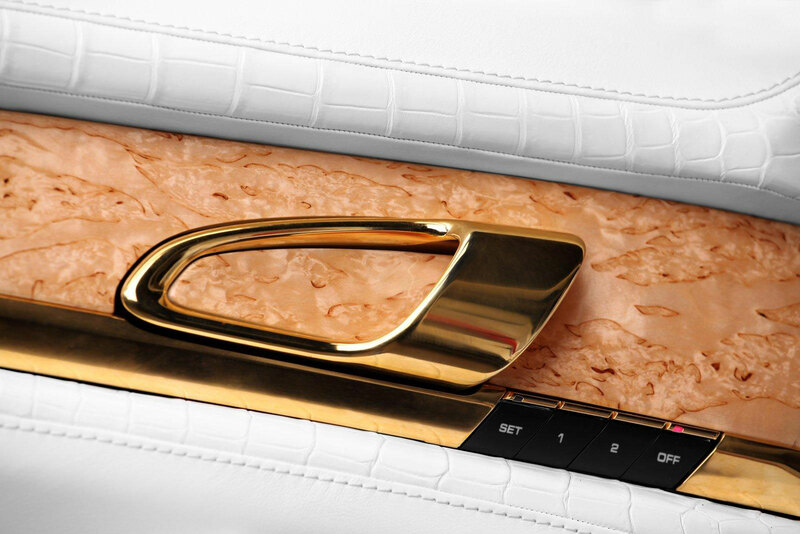 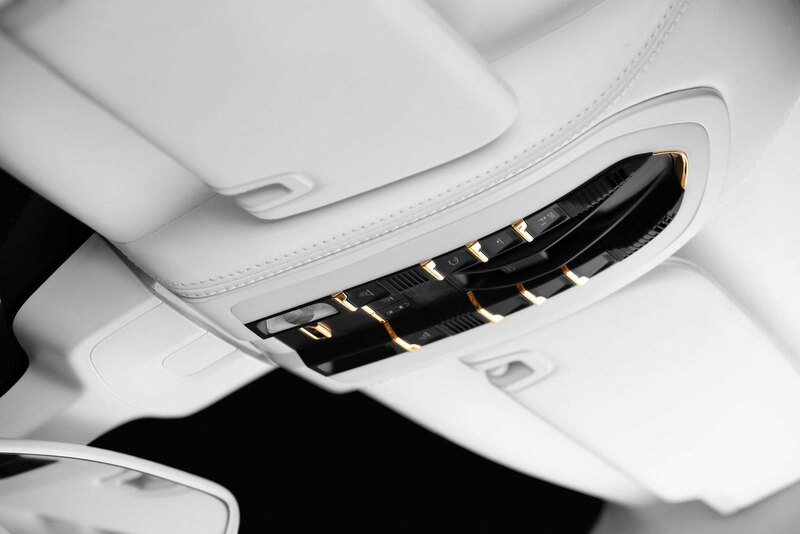 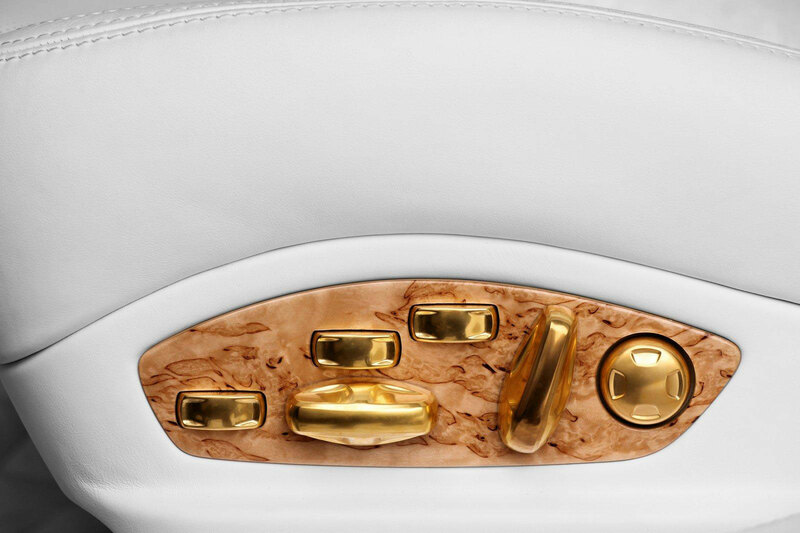 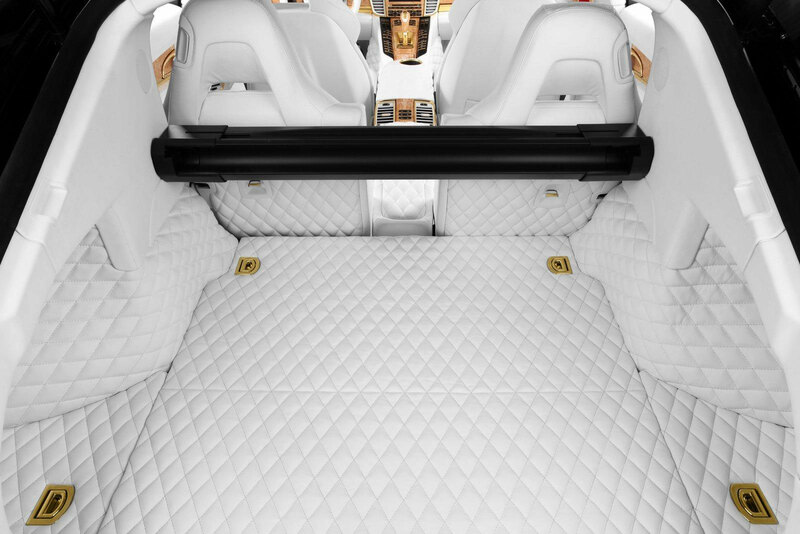 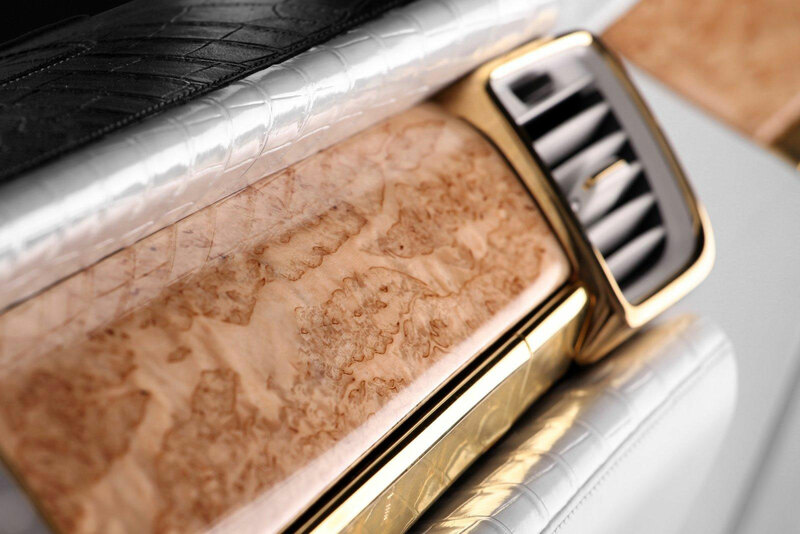 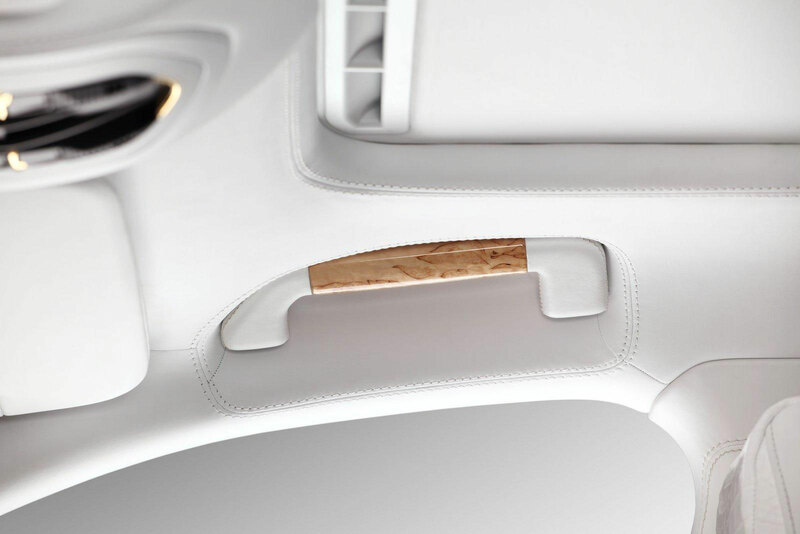 The foldable seat and booting area too have been enveloped in white crocodile leather and hand-stitched to perfection. 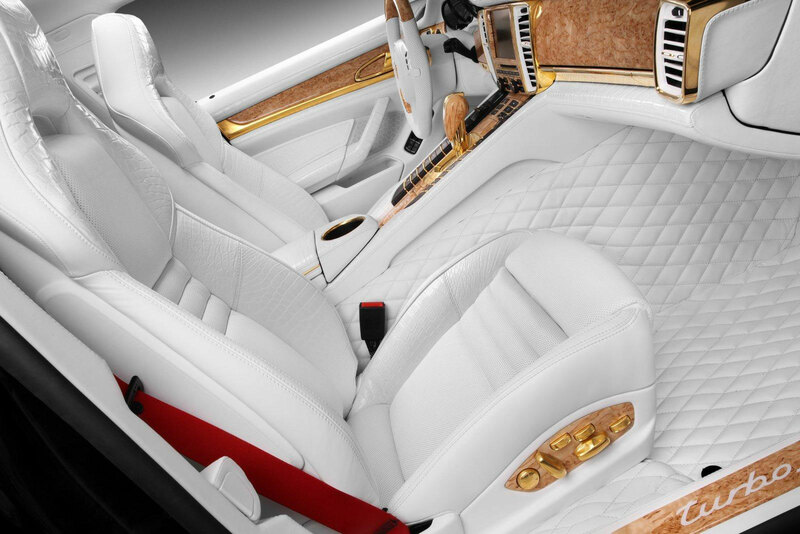 Just to take away the monotony, the seats belts in both areas are a classic racy red.